Have you ever heard the phrase “they have two left feet”? Perhaps you’ve even applied the label to yourself in the past. If you feel like you aren’t very coordinated, it can be difficult if not impossible to feel confident out on the dance floor. That might mean avoiding situations where you would otherwise have a chance to enjoy yourself. Just because you aren’t confident in your dance moves now doesn’t mean that you must remain that way forever. With practice and personal effort, anyone can learn how to dance and have fun. With Dancecorp Dance Studios, you will find a welcoming and relaxed environment where you can learn ballroom dancing in Brisbane. From the elegance of the waltz to the sensual samba, Dancecorp’s flexible structure allows you to learn the forms of ballroom dancing which interest you to the level you desire. Getting started is easy, and continuing through to advanced levels is an option you can choose to pursue. Between our friendly instructors and engaging social setting, you’ll be able to build your skills as well as your confidence. Once you decide to enrol, it’s all preparation and practice. As you advance through our Trophy System, no one will be able to say you have “two left feet” anymore! When you choose our studio for ballroom dancing lessons in Brisbane, we’ll do everything we can to ensure you’re comfortable and have fun. If you’re feeling a little overwhelmed at the idea of trying to learn all of the steps in ballroom dancing or the timing, don’t worry! At Dancecorp, our goal is to create a program for your lessons that takes into account your needs as well as your strengths and weaknesses. Because we recruit every instructor at Dancecorp ourselves, you can trust in the quality of their teaching abilities. Our instructors are also constantly refreshing and learning new dance skills, enabling them to provide you with classes that meet your needs. 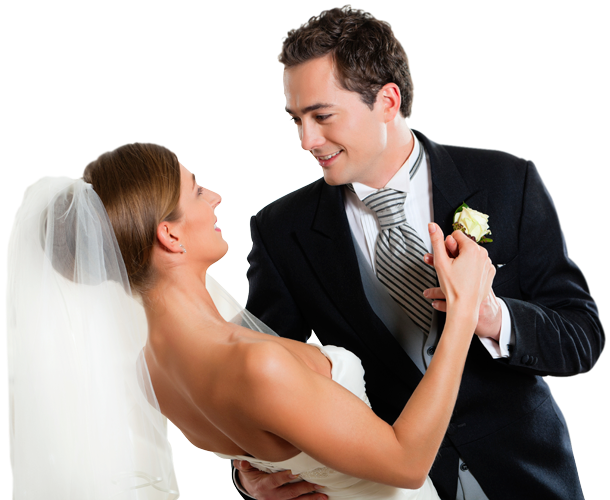 We can give you lessons in whichever style of ballroom dancing you like the best. Our classes are spread out over time, giving you the opportunity to practise and grow in confidence. Don’t forget to think about attending one of our fabulous social engagements, where all students can meet and dance together. Everyone might be a little nervous before their first lesson, but once you get into the groove, you’ll find that dancing is a fun and rewarding way to challenge yourself. Whether you opt for private or semi-private lessons, you can choose to create the environment most conducive to building up your confidence in the arena of social dancing. We look forward to teaching you all about the most classic ballroom dances, and we hope you’ll consider advancing to deeper levels of learning. To enrol in one of our ballroom dancing classes in Brisbane now, call us! Reach us on (07) 3227 0390 to book.